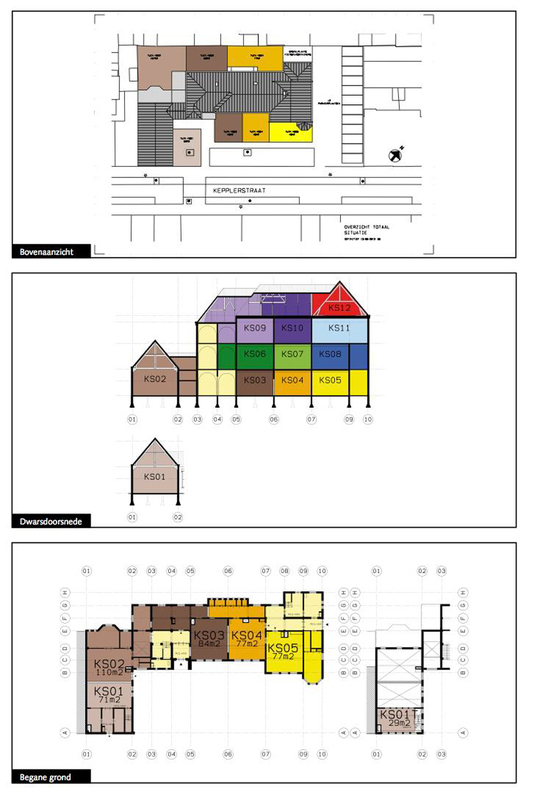 This project involves converting a redundant 100 year old school building into low cost ‘self refurb’ apartments. A total of 11 homes have been provided, ranging in size from 76 sq m to 174 sq m (the prices for the lease for the bare shells range from £48,000 to £109,000). The city council prepared the ground by installing independent utility connections to each of the original large classroom areas, and the new owners have fitted out their homes. Some are using contractors to do the work; others are doing much of the work themselves, often with help from their families. A ‘coach’ is provided to help them with any technical issues and to ensure the work is done to the right standards. Once complete the homebuilders cannot let or sell the homes; they have to occupy them for at least three years. This is a good example of how an existing building in a city location can be recycled for affordable housing. 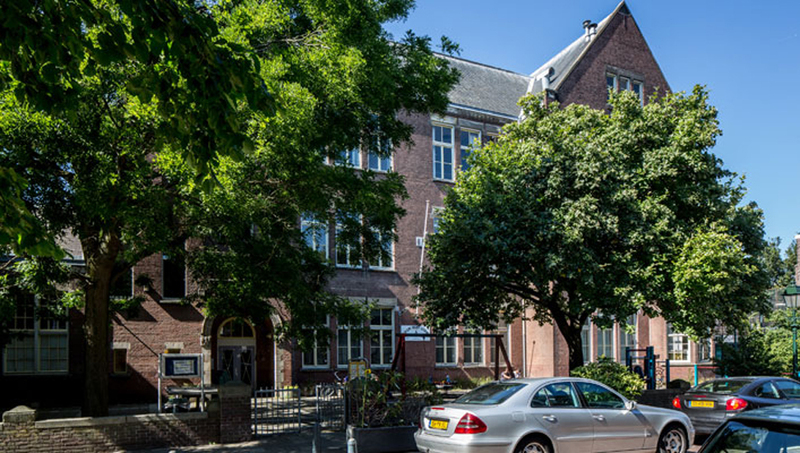 The original building is at 301 Kepplestraat, which is in the up and coming Valkenboskwartier district about 2km west of the city centre. There was strong demand and the homes could have been sold many times over. The marketing team at The Hague agreed a date when the plots would be released and announced this well in advance. 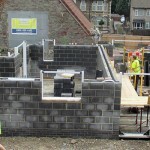 The homes were allocated on a first come; first buy basis. These are set out in the schedule below. There was no negotiation over the prices. As part of this cost the purchasers could also get up to ten hours of advice from one of the technical building coaches that work with the council. There is also a small service charge to cover the upkeep of the common staircases. Why convert it to residential use? When the city council realised the school was going to become vacant it undertook an analysis to work out the best option for the site. The building was in sound condition, and its classical style was very popular locally. 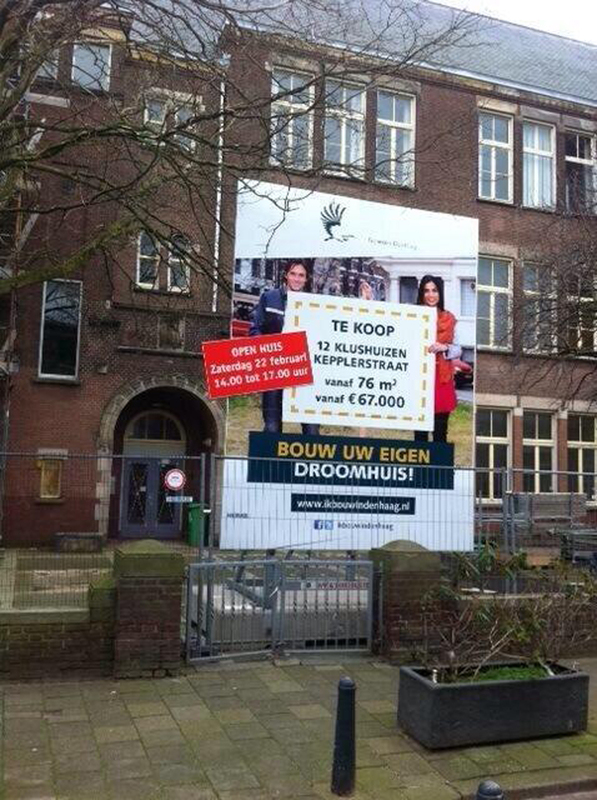 If the council had demolished the school the land would have been sold at the local going rate (about €600 per sq m). However, if the building was retained it was worth about three times this figure, as it has three to four levels. Even taking into account the cost of providing the servicing to each of the shell apartments (which cost about €600 per sq m), it was more financially advantageous to convert the school to residential rather than to demolish and redevelop. The city also has a strong green commitment, and felt there was a good environmental argument for recycling, rather than demolishing. No special financial packages were provided, though the team at the Plot Shop signposted potential buyers to four mortgage providers – ABN Amro, SNS Bank, Triodos and Rabobank. Most mortgages in the Netherlands are taken out over a 30-year period. Some of the purchasers had savings and only needed a modest mortgage; others only had small deposits. The city provides grants to help make homes more sustainable – for example, to encourage extra insulation in the walls and roof and boost the thermal performance of the windows, but none of the purchasers applied for this assistance. Permission to rezone the school for residential use was granted in December 2012. The original building as not listed or protected in any way. As the exterior of the building was only marginally affected by the change of use there were no real planning issues. The main change to the look of the original structure was the provision of some small balconies at the rear. Each of the Plot Passports explained what could and couldn’t be done with the shells. The municipality remains the legal owner of the ground, and issues a perpetual lease to the buyer of each apartment. This means purchasers effectively ‘own’ the right to use the apartment forever. When plots of land are sold in The Hague private homebuilders can choose to either buy the lease outright, or pay for the plot with an annual charge (currently 1.8 per cent of the value). With this building the city decided that purchasers could only buy the lease outright. 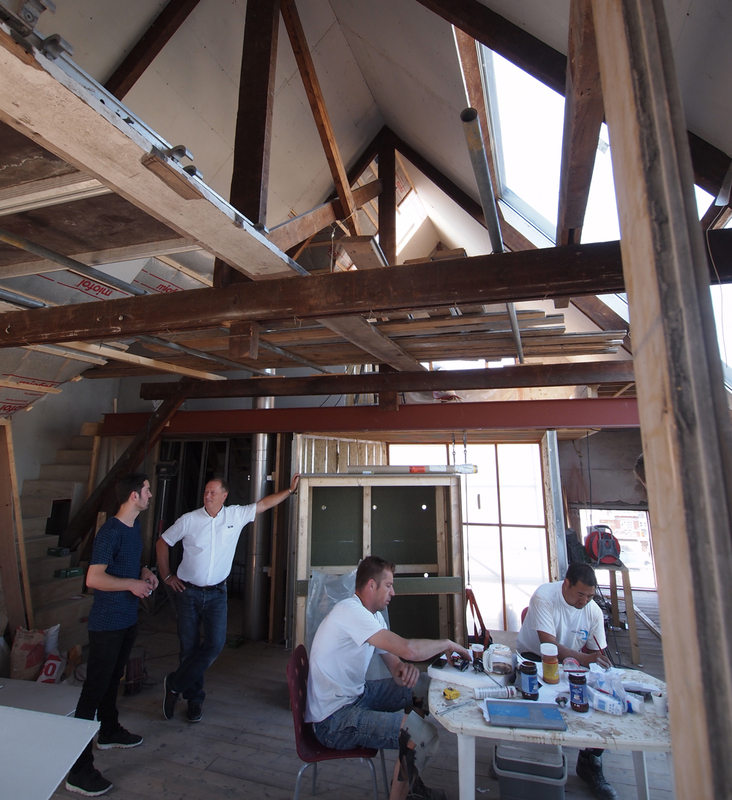 The contract sets out the buyer’s legal obligations/standards for the fitting out work. Each purchaser had to initially take out at option for their apartment (this cost €300), and then they had to pay ten per cent of the total cost while they secured the necessary planning and other regulatory approvals. Once these are approved they have to pay the remainder. The purchasers were given a year to complete their conversion work/fitting out. The contract specifies a €25,000 penalty for anyone that is late, but the council did not need to invoke this. 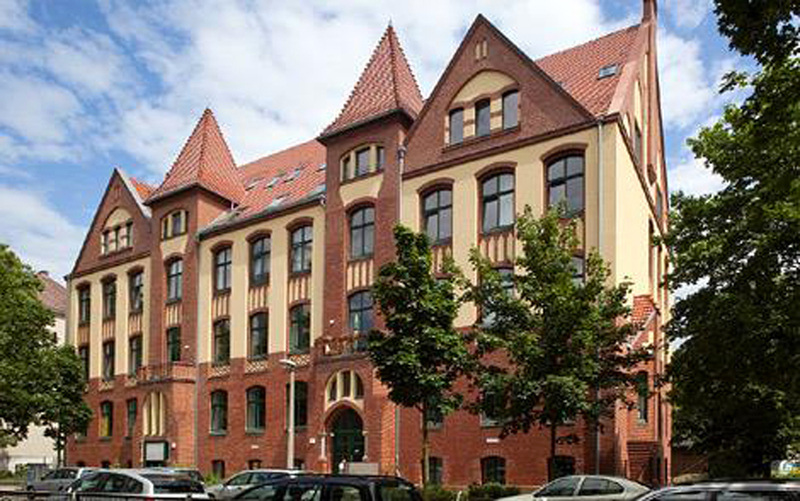 Located in Hamburg’s Altona district, this project involved the conversion and extension of a listed former school building to create 34 apartments for 87 people (49 adults and 38 children). It was completed in late 2011. 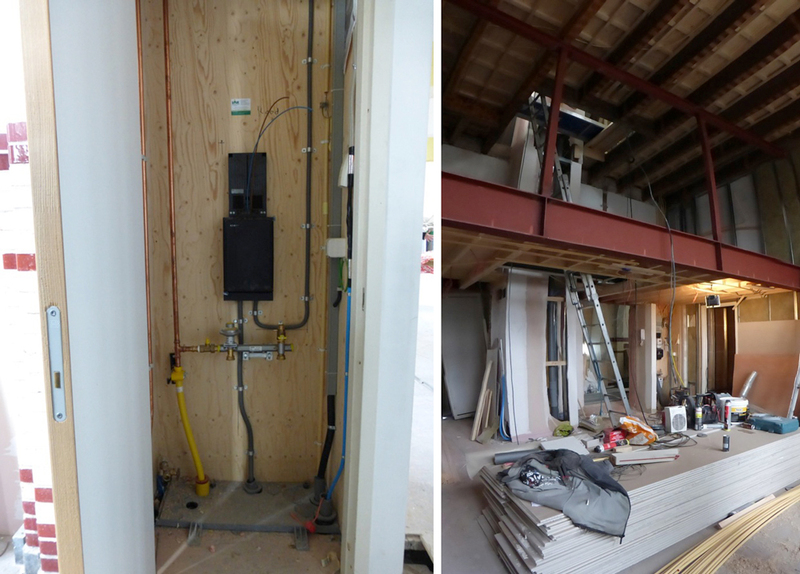 The project cost around €7m, including purchasing the existing building and all pre-development and construction work. It was completed within budget despite incurring some extra costs when asbestos was found, and when the foundations needed to be reinforced. 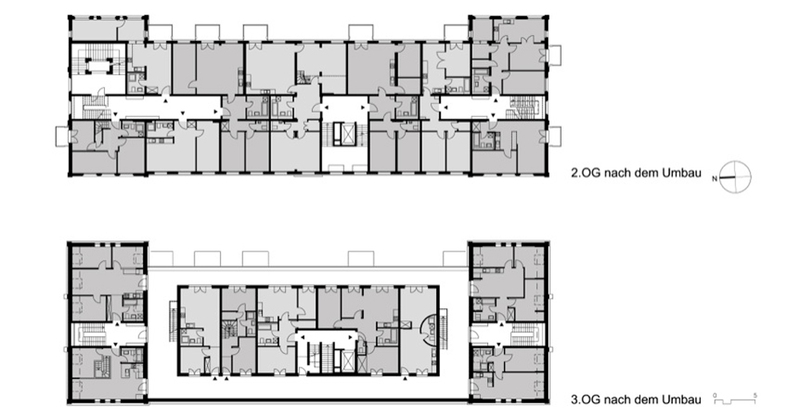 The gross development cost was around €2,580 per sq m of living space. The project is designed to allow residents to share some facilities – from the large communal garden, to storage space and a games room in the basement, and a roof-top common room. There are also five cars shared through an informal ‘car club.’ The development provides a mix of rented and owned units, and all residents are members of the housing co-op that was formed to facilitate the project. Five new homes were created on the roof, and some of these were sold to partly fund the project. Residents of the 29 rented homes pay between €5.70 and €6.80 per sq m per month, which is about the going rate for Hamburg. These rents will, in time, pay off the loan the group took out to realise the development. 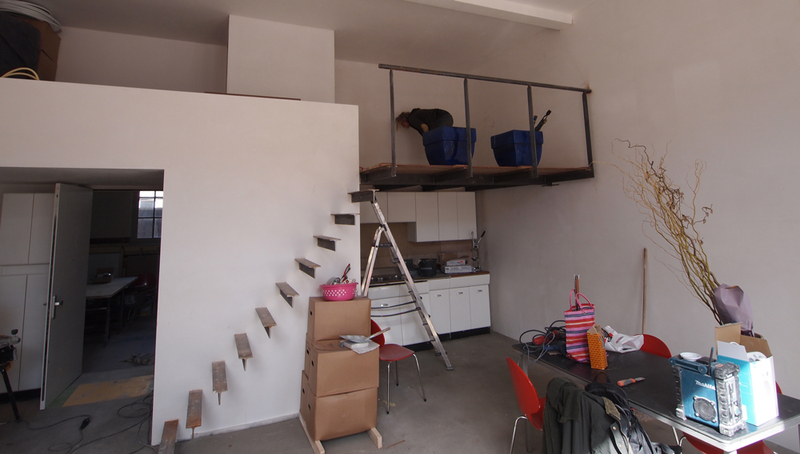 This community-led refurbishment was supported by a non-profit Foundation called Lawaetz-Stiftung, which helps collectives come together, and guides them through the planning and construction process. 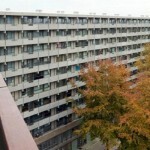 The project is located on the corner of Chemnitzstraße and Virchowstraße in the Altona district of Hamburg in Germany. There are 34 homes – five for sale, 29 for rent. The homes range from 35 to 125 sq m.
People who were shortlisted were then invited to community meetings to introduce themselves. All those who had already joined the project then voted to decide whether or not to extend an invitation to the new applicants to become members. The group acknowledged that this process was be a bit harrowing. The group also found that some of theearly members had become more affluent during the period it had taken to develop their project. As the original intention had been to build homes for rent – and the projects finances were forecast on this basis – these people were given the opportunity to buy their flats in recognition of the work they had put in to get the project to happen. 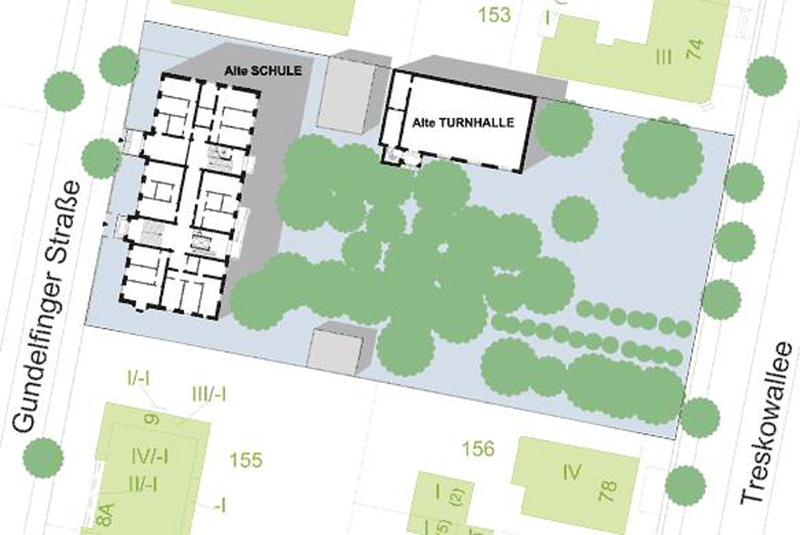 These are the only people who were permitted to buy their homes in the Sattschule project, as the group wanted to counter any future speculation as much as possible. Only one couple pulled out after the building process had started – and this was because it was taking too long for their needs. The group has been very stable, happy and communicative ever since completion, with a very low turnover of residents – a quality it attributes to the selection and ‘road testing’ process it went through to get the homes and establish the community, as well as to their architect’s work in tailoring the apartments to each individuals needs. 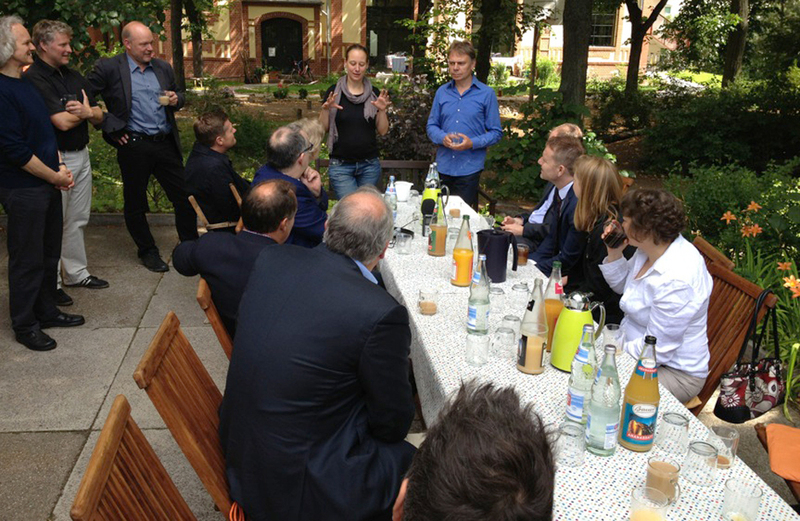 During construction, representatives from the cooperative met once a week with the architects. Other members were active in sub-groups that dealt with the power supply, the common garden, recruitment of residents, the acquisition and conveyancing of the building or the compilation of information about its history. Each apartment was individually designed to meet the wishes of its future residents. The rooftop apartments are set back from the parapet to provide access (left); and the project viewed from its courtyard garden (right) The conversion was technically difficult – the group found asbestos contamination in the ground and had to reinforce the foundations to take the load of additional roof-top units. The project has wood pellet heating, a solar thermal system on the roof for hot water and photovoltaic cells for electricity. The building has four metre high ceilings, and galleries and platforms were permitted in these spaces. Building preservation was a priority – timber windows have been preserved and upgraded with double-glazing, historic timber beams remain throughout the building and the original staircases have been restored. Insulation is applied internally as the main facades were protected by heritage regulations. 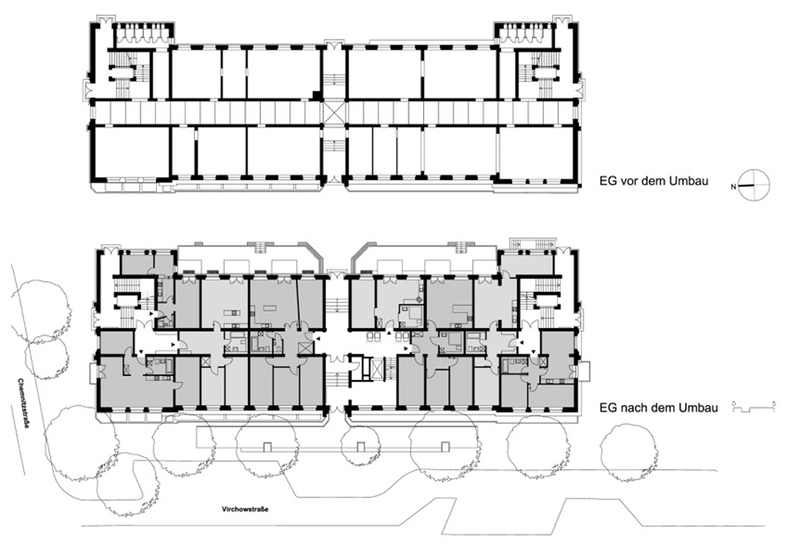 This project, on the outskirts of Berlin, has transformed a redundant school building into 21 apartments for around 60 residents. The homes are all for rent and at least a third of them are reserved for seniors and disabled people. The building also includes an innovative Children’s House facility for ten youngsters who are in care. It was set up as a cooperative with the rents now being used to pay off the original €3.3m loan. Rents are between €4.65 and € 7.50 per sq m per month, and all members of the coop have to pay a deposit of €500. The project was initiated in 2006, and the residents moved in two years later. 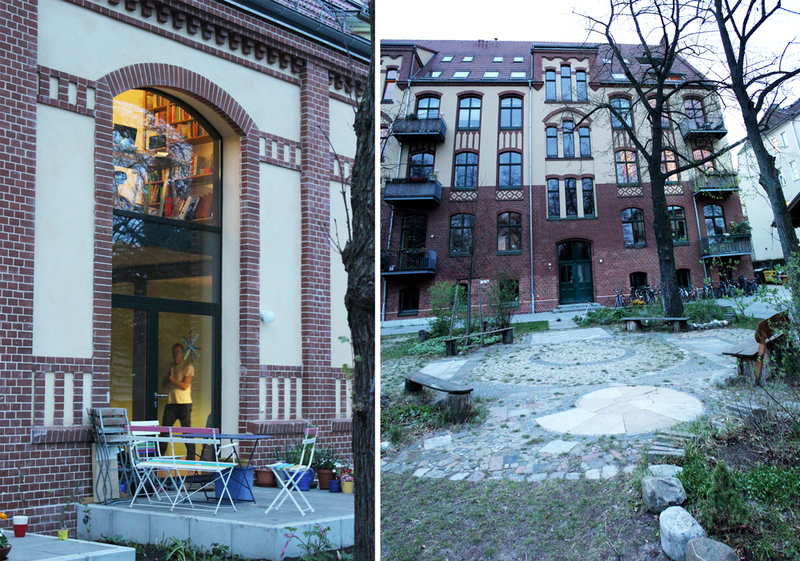 The project is located on Gundelfinger Strasse 10/11, 10318 Berlin. The original school building was constructed in 1899, and became surplus to requirements in 1994. Although it was listed as Grade II, over the next ten years it was left empty and it fell into disrepair. 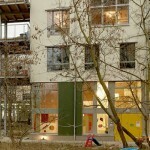 The SelbstBau Rental Cooperative was founded in 1990, with the aim of creating more affordable homes for local people. Over the last 20 years it has acquired and renovated about 20 old buildings usually as cohousing projects – so they are built in partnership with the future residents. In 2004 a member of the cooperative ‘discovered’ the empty school and, working with an architect, devoloped a proposal for converting it to resdiential use. At about the same time the not-for-profit Trias Foundation was set up with the goal of helping to raise finance to support initiatives like this. 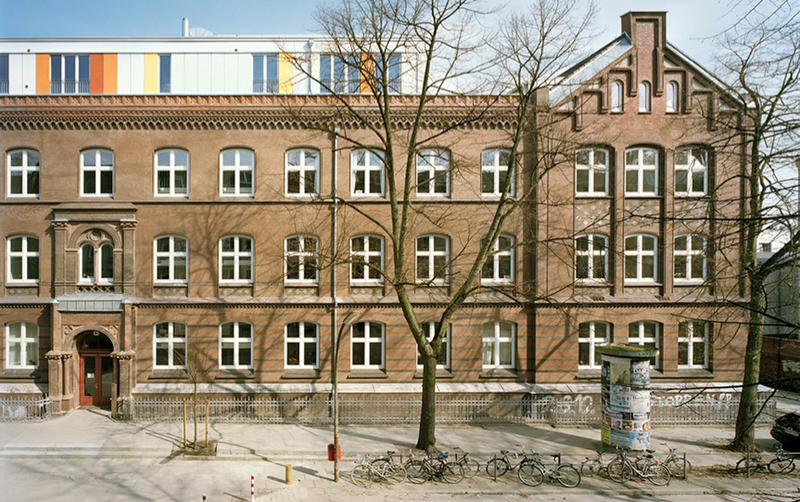 In 2006 SelbsBau took control of the building – the land was purchased by the Trias Foundation using an endowment, and it issued a 99 year lease to the cooperative. 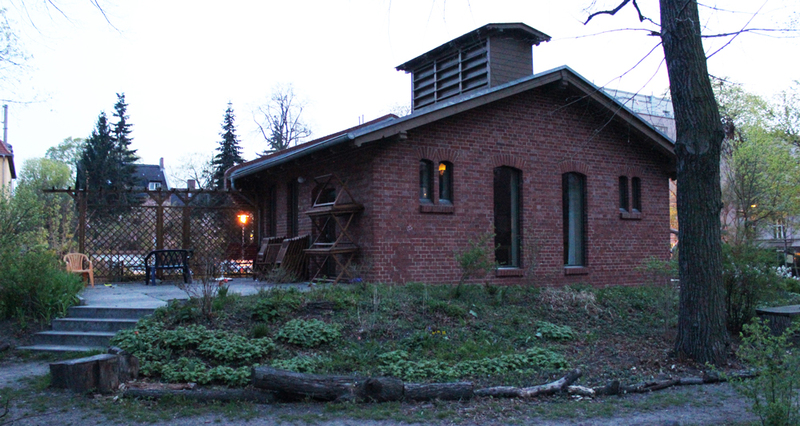 The building is now owned by the tenant cooperative that occupies the school – this is called DIY eg. 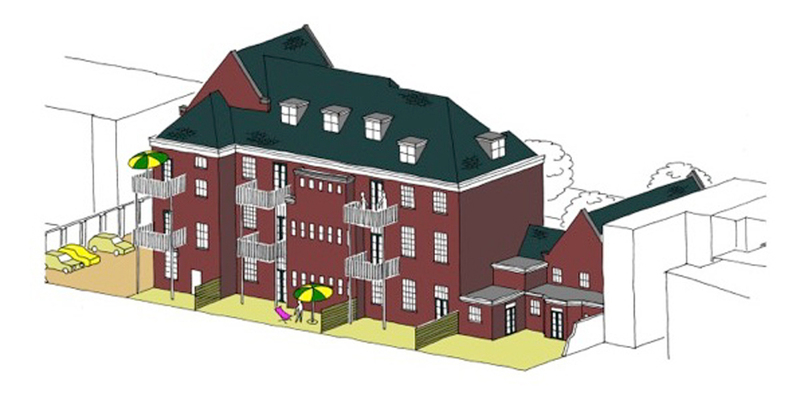 The individual flats were custom designed to match each of the future residents’ requirements. The renovation work on the main building began later in 2006 and the residents moved in late in 2007. The second phase, involving the conversion of the old gymnasium into six further homes, was completed in 2014. Residents pay a ‘cold rent’ of €4.65 per sq m per month and around €2.20 per sq m for operating costs. Funding for the €3.3m project came from a number of sources – an interest-free loan to the cooperative, various private loans and a loan organised by the Trias Foundation (from another supportive foundation) . 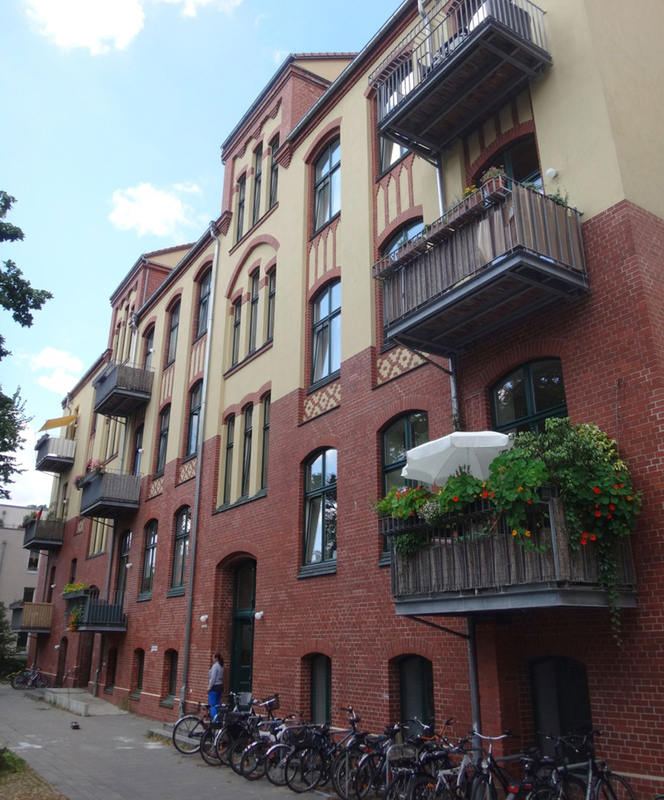 The Liegenschaftsfonds Berlin (the portfolio managers of state-owned land in the city) also provided a sizeable grant (about €1m) to contribute to site remediation works and to cover some of the additional heritage restoration costs. The original group of residents found each other through local informal advertising, or heard of it ‘on the grapevine’. In essence the design makes good use of the original classroom spaces, with many of the homes arranged within these. The building is situated within grounds between two main streets A typical floor plan of the converted building The taller school building is on the left, with the gymnasium on the right The whole building (and the garden) is barrier-free and wheelchair accessible. At ground level there is an unusually large apartment set aside for ten youngsters in care; they are looked after by a couple of live-in guardians. Some of the Alte Schule residents The historic character of the school has been retained; the original 3.85m high ceilings have not been changed, the staircases have also been kept, and all the large windows have been retained. All apartments on the courtyard side have new balconies, and the fabric of the building has been improved to make it more energy efficient. The residents were heavily involved in the overall design when the building was converted, and they now run and manage it themselves. So, for example, they come together to maintain the common spaces and the garden, and contribute a range of other skills depending on their abilities. The garden’s community building is a good example of how they have added to the facilities – it also doubles as a guest apartment, and it was supported by a grant from the IKEA Foundation and others. 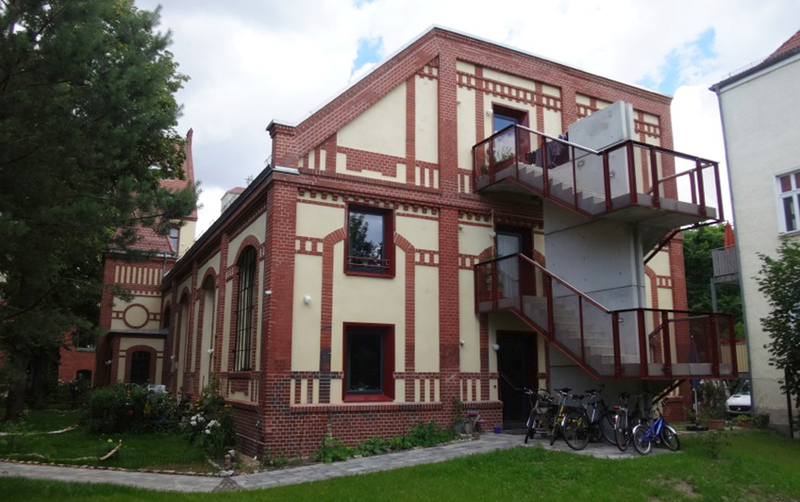 The group also managed the conversion of the former school gymnasium into the six new apartments that were completed in 2014. The communal building situated in the shared courtyard Residents making use of the community building The former gymnasium, now converted to six new homes The old gymnasium has been subdivided to create two floors of living space (left) and the courtyard garden is designed to be barrier-free (right) The residents have a say about who gets to move into their building, when an apartment becomes vacant. 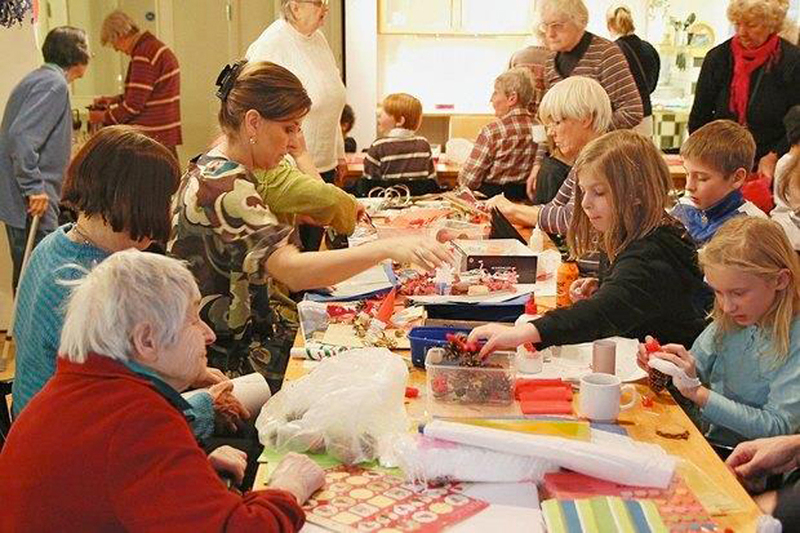 Their aim has been to encourage inter-generational living, and anyone visiting the scheme will be impressed with how effectively they have achieved this. 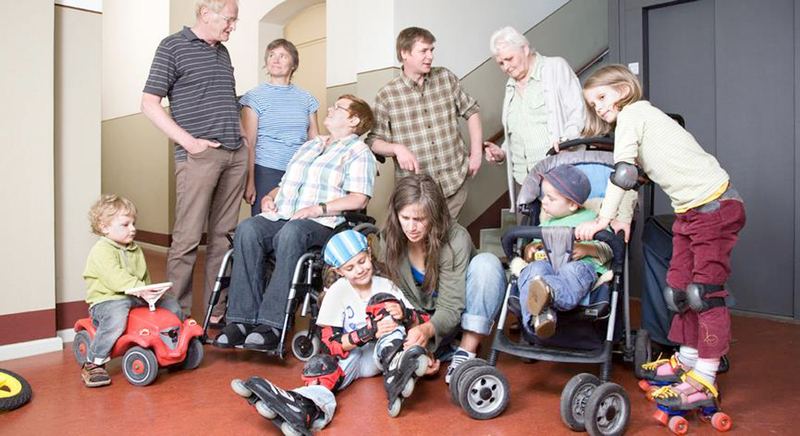 The residents range from nought to 80, and include single people, traditional families, retirees and a Children’s House (for ten youngsters between two and 16). The apartments are only available to people on lower incomes.